You forgot how important wifi is until you have to go without it. We apologize for the late post but we are currently using any wave of wifi we can find to update you all. We finally arrived in Denver after a long 10 hour car ride through Kansas. We made great time but boy was it an uneventful ride. The most interesting thing we saw on the drive down had to be a pile of sticks. It was worth it to ride into Denver with the mountains in our sight. We arrived in Denver with empty stomachs and immediately found a place to eat. We ate at Sam's No. 3, a diner featured on Food Networks Diners, Drive Ins and Dives. We would like to imagine we sat where Guy Fieri sat but if not the food was still amazing. We aren't just saying that because we were about to eat our arms off. We woke up bright and early today to head to Adam's Camp for our first day of service. We met the therapists and kids we will be working with. 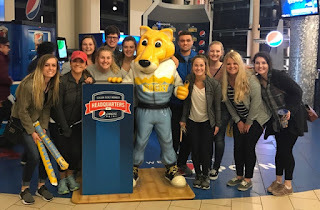 We got to hear the goals the therapist have for the week and were really inspired by how much these therapists want to impact the kids in 7 short days. We also met the siblings of the campers who get to also come to the camp during the day and meet kids who also have siblings with disabilities. Fun fact from the day: Jeff our site leader had quite a rap career back in his day. With a little investigation we found his groups mixtapes. We are hoping to hear some of his skills this week. 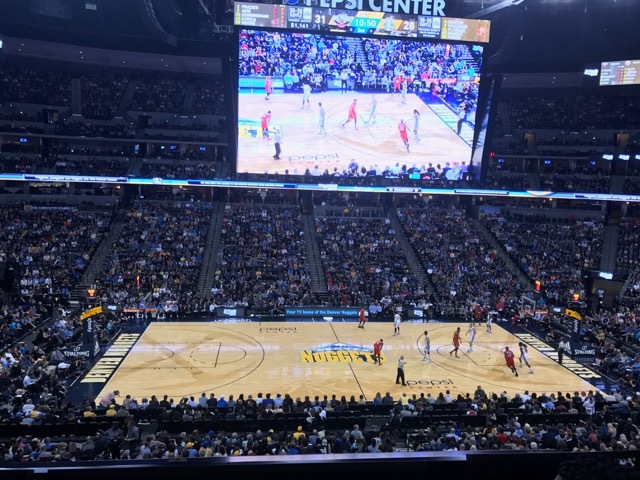 We were so lucky to be donated tickets to the Denver Nuggets game so after our day at Adams Camp we headed to downtown Denver for the game. 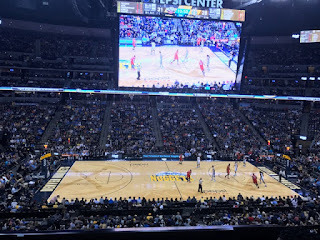 The Nuggets did not do too well, despite our best efforts to cheer them to victory. Nevertheless we bonded over blow up noisemakers, over priced Dippin' Dots, and weaving our way through downtown to find our parking garage. Today gave us a glimpse into what this week holds for us and we are so excited. 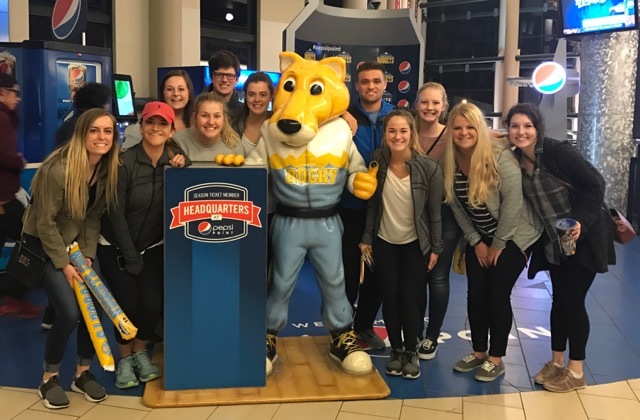 We cant wait to make lasting friendships, learn from our service site, and grow a passion for service that we can bring home.